Gifts & Shopping: Hand-Made. Real. Classic. After almost 30 years creating candles at Dutch Village, the owners of Holland House Candles have decided to move into semi-retirement. They are still making their signature candles, which can be ordered via phone or from their website: www.hollandhousecandles.com Dutch Village was proud to have them in our village and would like to wish them well. Our shops are open year-round. 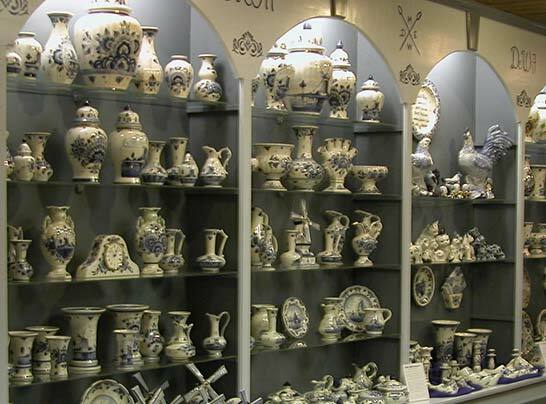 Dutch Village offers unique Dutch gifts and merchandise throughout the year. Even when the park is closed, our shops remain open during the week. Come for a visit and take a look what we have to offer. 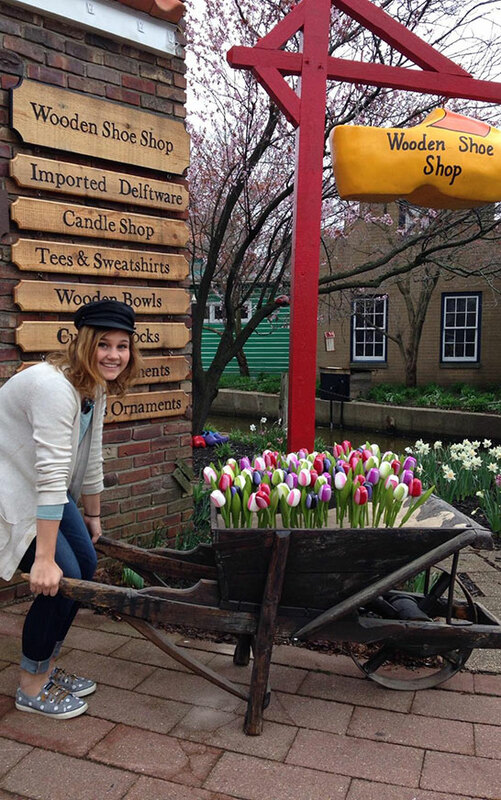 Not only can you get a pair of wearable or souvenir wooden shoes at our Klompen Shop, but you will also find wooden tulips, wooden bowls, Dutch toys and delft blue items and souvenirs from Dutch Village and Holland, Michigan. If you're looking for tulip bulbs or tulip advice, stop by our garden shop at the park exit. You can purchase tulips for planting at this Dutch Village shop between July and December.You can also call, mail, email, or fax your order for tulip bulbs. Just download the form below and order by August for best selection. 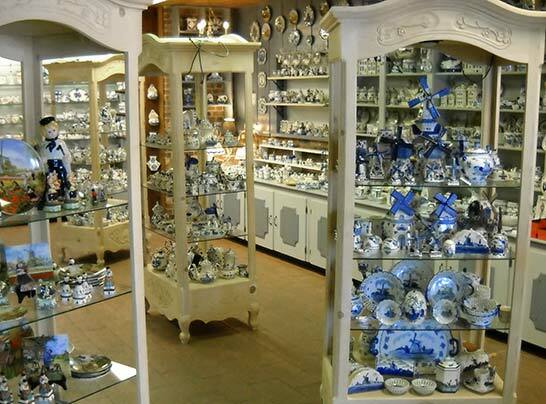 Browse our quaint shop filled with European handcrafts featuring hand-painted Delftware, lace, nutcrackers, steins, pewter, Christmas ornaments and nativities. Yes, they are very lightweight and have a great arch support. We encourage you to try a pair on when you visit us. What kind of wood are wooden shoes made out of? Wooden shoes are made from Poplar wood. Where are your wooden shoes made? We import all our wearable wooden shoes from the Netherlands. 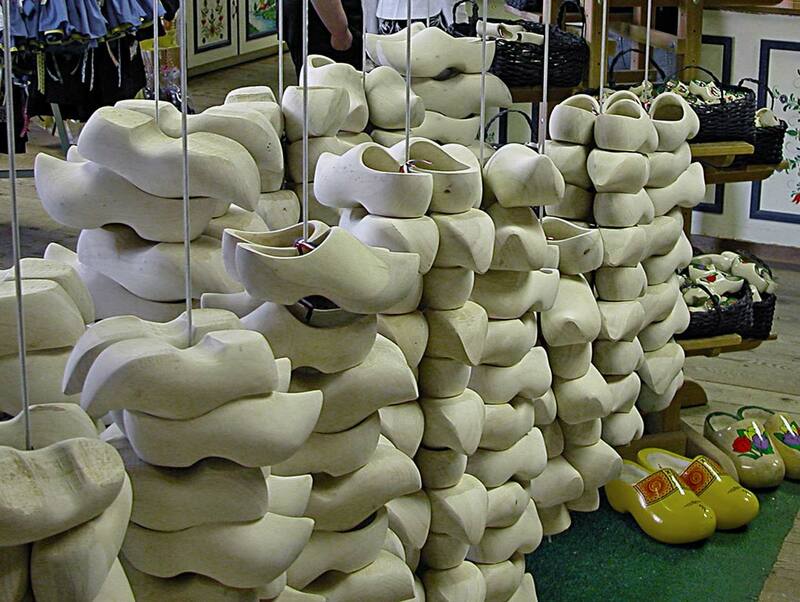 The wooden shoes that are hand carved here on site are sold here as souvenirs. Do Dutch people still wear wooden shoes? In the Netherlands today you will not see people wearing wooden shoes in the big cities. You will, however, still see farmers working in their fields wearing wooden shoes.